Essential oils are organic compounds extracted from certain plants, providing many of the health benefits of that plant in a very concentrated and easy to use oil. 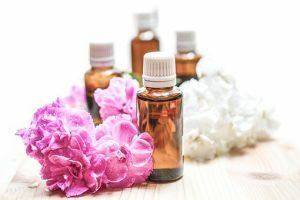 There are several essential oils that are known for their positive effects on stress and anxiety but what makes them so attractive to many people is that they rarely have the negatives associated with common prescription meds. Common prescription medications used for anxiety sometimes have dangerous side effects and addictive properties that could actually do more harm than good so essential oils provide a natural, easy to use alternative to help you feel better when dealing with stress and anxiety. Pharmaceuticals can also be very expensive at times. You can learn more about how to use most essential oils on the market by reading a detailed usage guide. Popularized for its nighttime sleep aid properties, lavender essential oil is also effective for stress and anxiety reduction. The oil is extracted by steam distillation from the leaves and flowers of the lavender plant and is considered to be one of the most gentle essential – so gentle it’s even used on baby. In terms of research, one review paper called Lavender and The Nervous System, discussed multiple studies where the benefits of lavender essential oil for stress and anxiety were consistently seen. In another study that was not included in the paper, women in the stressful postpartum period after childbirth benefited tremendously from inhaling lavender essential oil consistently. Bergamot is a citrus fruit and the essential oil is extracted from the rind by a process called expression. Bergamot essential oil is very well-regarded for its ability to improve mood and decrease anxiety. Like lavender, it is also backed by actual studies confirming its efficacy. One of those studies measured the effect of bergamot oil on the mental health and well being of 57 individuals at a mental health clinic in Utah and the results showed that those exposed to the oil for just 15 minutes reported more positive feelings than those in the control or placebo group. Ylang-Ylang essential oil is derived from the petals of a tropical star-shaped flower. It has a sweet floral aroma and is used in many skincare and soap products. It is also an effective stress reliever and mild sedative, making it one of the more versatile essential oils in the world. An extensive review of studies showed that directly inhaling the aroma of the ylang ylang oil decreased blood pressure and stress index in volunteers. Like the flower it’s derived from, rose essential oil has a rich and tantalizing scent that is relaxing but it also contains healing properties worth mentioning. One study, Relaxing effect of rose oil on humans, tested healthy subjects through transdermal absorption (rose oil applied to the skin). Breathing masks were applied to prevent olfactory (scent) stimulation and the emotional responses were measured through rating scales and compared to the placebo. The study found that those who were exposed to the rose essential oil reported feeling more calm and relaxed which led to a conclusion that rose oil could indeed be used as a stress relieving option for individuals. Extracted from the peels of the sweet orange, this essential oil is native to China and has many benefits. It is also one of the top essential oils for mood enhancement and anxiety relief. In a study that analyzed the anxiolytic (anxiety) effect of sweet orange aroma on a group of 40 male volunteers, the physiological and psychological parameters were measured before, during, and after the process. The results positively indicated that sweet orange aroma had significant anti-anxiety properties. There are many essential oils that can provide relief from stress and anxiety. However, what works for each person varies, so it is important to find the oils that work for you. Experimenting and making custom blends to reduce stress and anxiety can be a wonderful way to and enhance the efficacy.